By jrosenhouse on June 12, 2016. Let me remind you that in a selfmate, white plays first and tries to force black to give checkmate, in no more than the stipulated number of moves. Black, for his part, does everything in his power to avoid giving mate. It's a complete inversion of normal chess logic! I should also remind you of another convention of chess problems: You assume that castling is legal, unless you can prove by retrograde analysis that it is illegal. In other words, you should assume that no matter how bizarre the position, it was arrived at in the course of an actual game in which both players played legal moves. Now, if at any point during that game either the king or the rook have moved, then castling would not be legal. 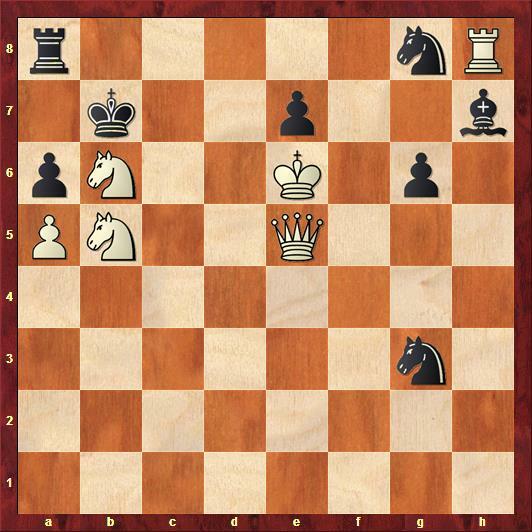 The convention, however, is that you assume that a king and a rook on their starting squares have not moved, unless you can prove that they did. OK, let's have a look at the problem. At first it looks like white will take care of business real easily with 1. Qe5, which blocks his own king. He is planning to follow-up with 2. Rxg8+, which will force the reply 2. ... Bxg8 mate. Success! Black is almost completely helpless against this idea. Almost! He does have one defense, you see. 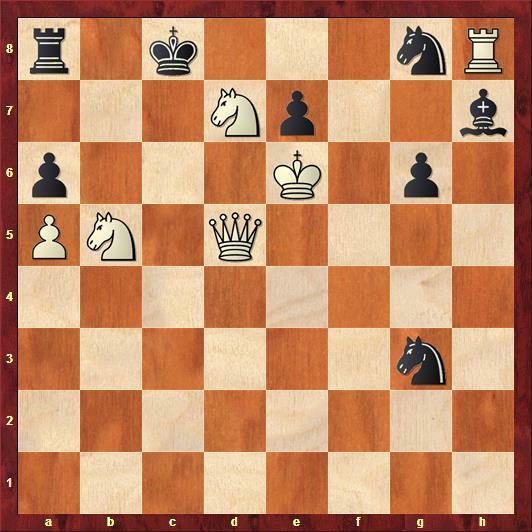 He can simply castle on the queenside, which spoils all of white's fun. Or does it? 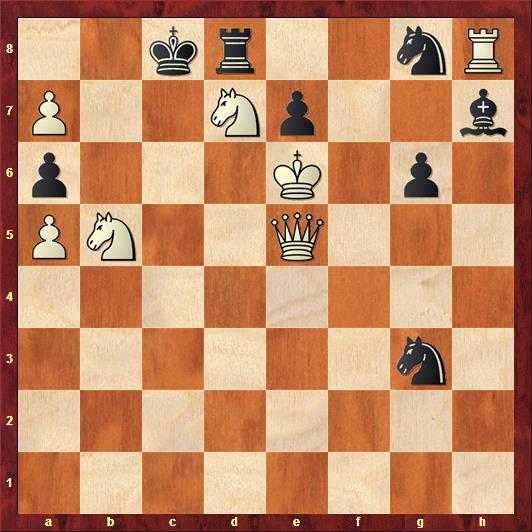 White is given nine moves to take care of business, not two. So white starts with 1. Qe5! anyway. Black says, “Ooooooohkaaaayy,” and calmly replies with 1. ... 0-0-0. Look familiar? We have returned to the starting position, except that now black cannot castle anymore. So white just plays 8. Qe5! and executes his original plan. 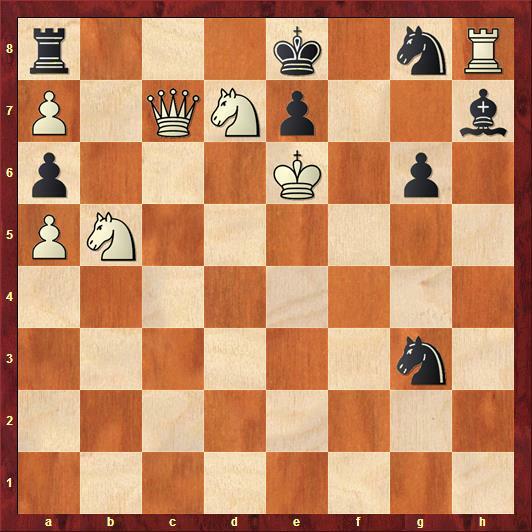 Regardless of what black does (in the following diagram, I have made the move 8. ... Rb8 just to put a move on the board) white continues with 9. Rxg8+ Bxg8 mate. I always like problems with a sense of humor! Like I said, though, I think this is an idea that can only be shown once. Incidentally, in problem jargon, a white move that fails to a single black defense is referred to as a try. As in, it's a good try but doesn't quite work. The move that does work is referred to as the key. So, we might facetiously say that in this problem the try and the key are the same move. I suppose one could carp and point out that the a7 pawn has evaporated, but it somehow just makes it more funny. I forgot about the a7 pawn! 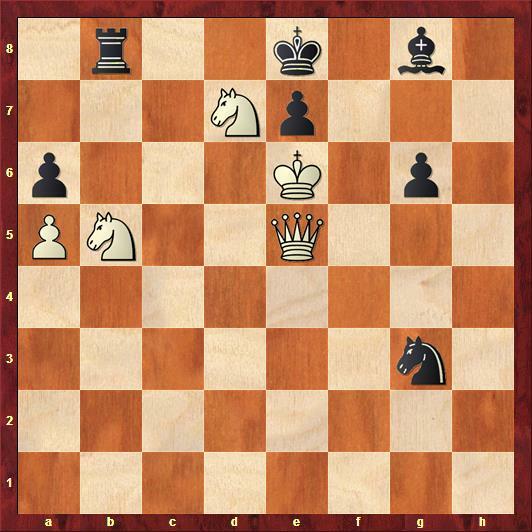 It's funny, when I made the diagrams, I simply forgot to make one that showed to position after black's seventh move (which was the original position minus the a7 pawn). Then I thought I could cheat by just reusing the original diagram, and I'm too lazy to go back and fix it. Oh well. Thanks for the video. I'll watch it when I have the chance. I've never heard of Ilya Makveev.